Director/Head Coach: Sarae Olson & Alexis Allen. 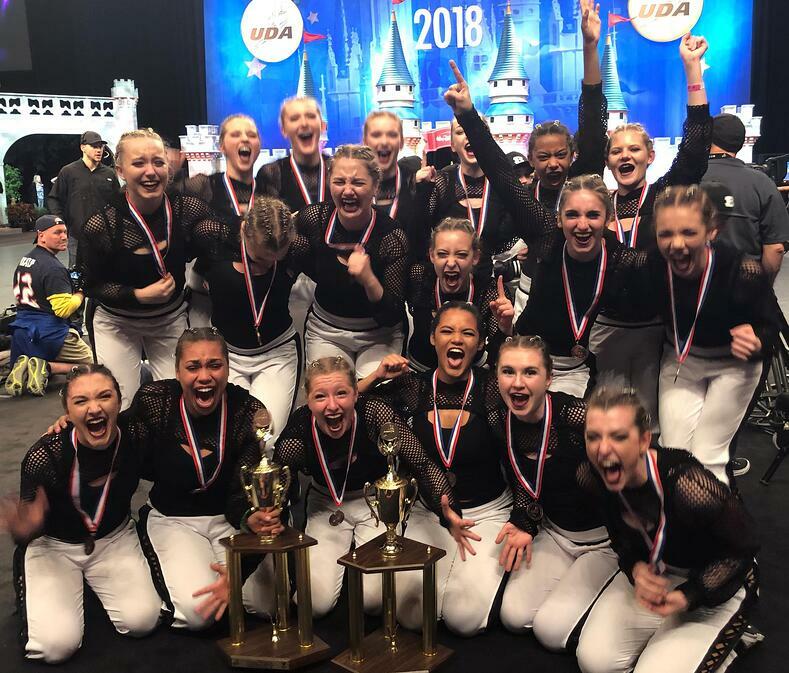 The Fargo Davies Eagle Elite Dance Team had a successful weekend at NDTC this February, placing 6th in the nation in high kick and 3rd in hip hop. This was an impressive feat considering it's only their 2nd year at UDA nationals! "Last year was our first year attending UDA Nationals where we placed 10th in the nation with our Kick routine. This year we knew in order to improve our placement we have to be different," Coach Sarae explained. And they did! 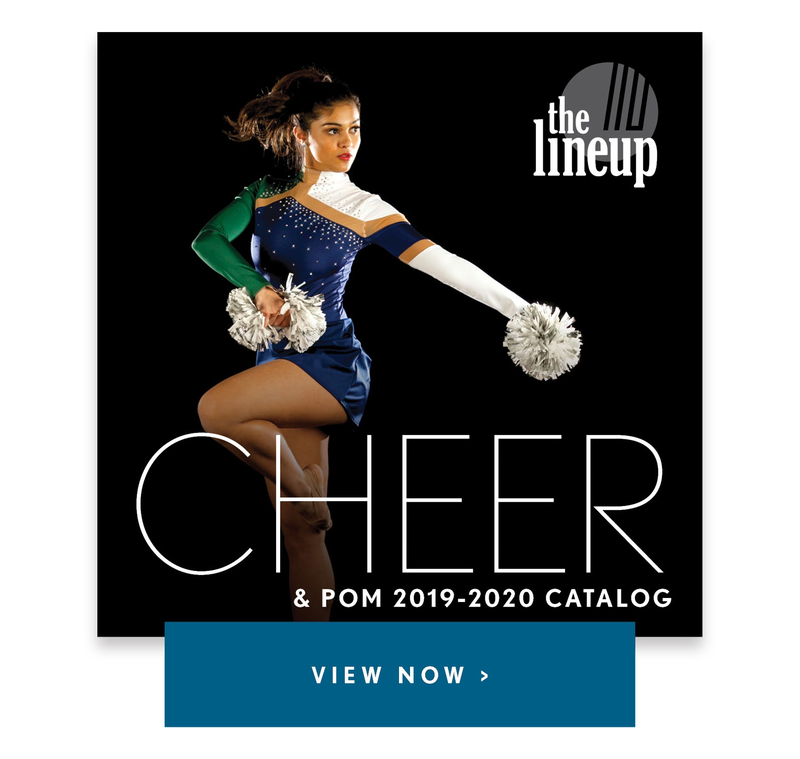 To stand out give them a little edge, the team chose a hip hop song for their kick routine, and designed a custom high kick costume. 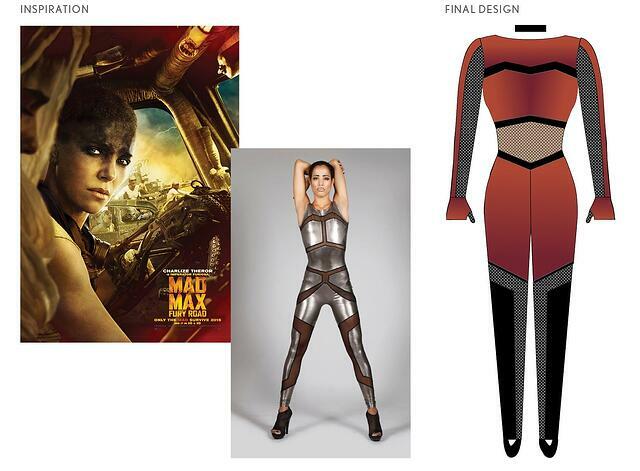 The futuristic unitard was inspired by the gritty action film Mad Max, where battles are waged in a desert filled apocalyptic future. "Our inspiration for this uniform was desert war, with the warm colors mixed into a military style," said Sarae. Edgy mesh cut outs and a unique color combination of warm burgundy and orange brought the desert warrior theme together! 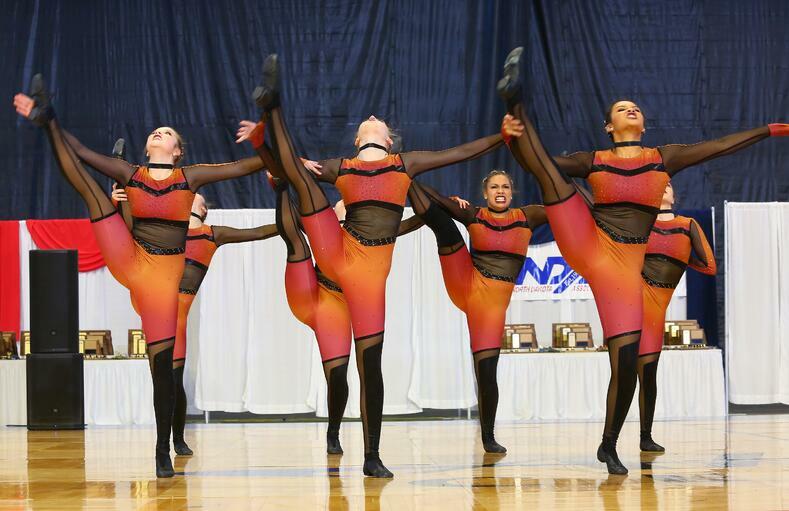 Check out a video of their final performance at UDA NDTC below! Images via Pinterest, left, and the design sketch, right. Davies Kick Finals from DM2 Digital on Vimeo. For their hip hop outfit, the Fargo Davies Dance Team wanted something different than the typical all black hip hop apparel. 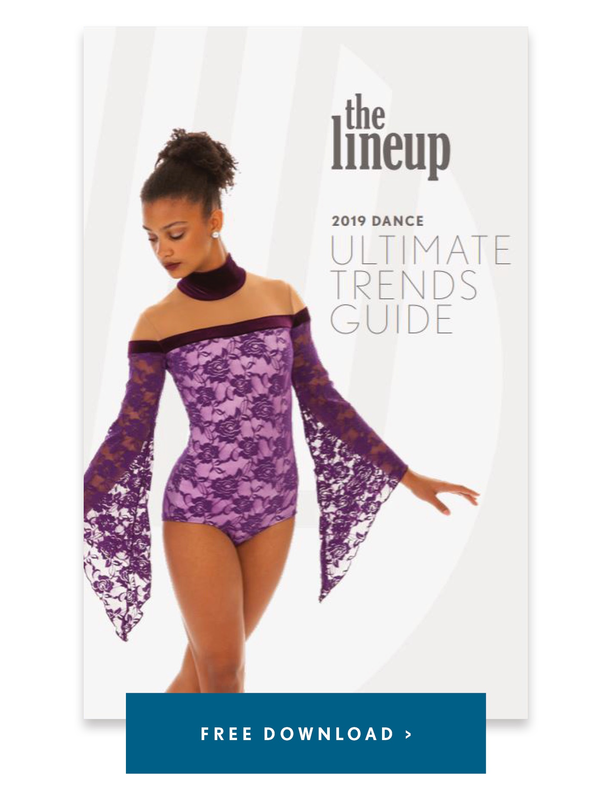 "Our inspiration for this uniform was to create something light that still looked strong and dramatic," said Coach Sarae. The team designed a pair of custom white joggers with black lacing up the sides, and paired it with a ready-to-wear top. "Our white pants with black lace up detailing gave the exact impression we were looking for," Sarae said. The team placed 3rd in the nation in medium varsity hip hop! 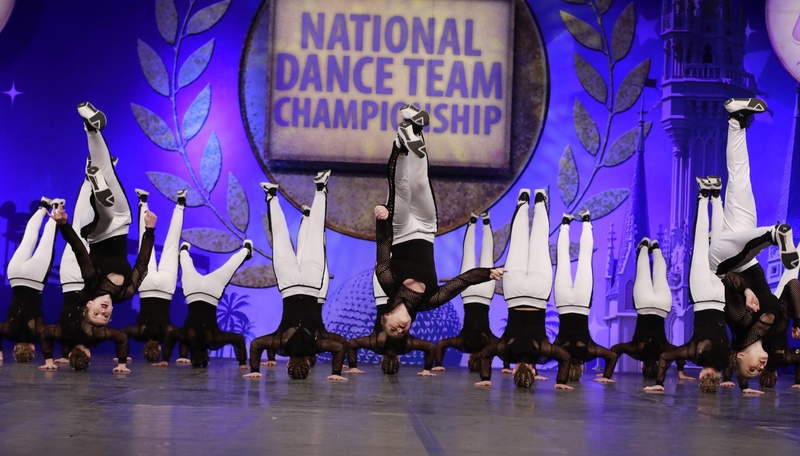 Check out a video of their hip hop performance at UDA, and more Q&A with Sarae below! Davies Final Hip Hop from DM2 Digital on Vimeo. Our song for Kick was Manolo by Trip Lee. We wanted to mix up the Kick category this year and add a little edge to a more traditional genre. Our song for Hip Hop was a remix to Eminem's Rap God. What makes our team unique is our process of how we put together our routines. Many teams hire out choreographers, while we do everything ourselves. Our coaches choreograph all four of our routines and the team helps make it their own. It’s a collaboration with all members! We try to have our routines full of big moments and surprises. Our team motto is “Limitless” and we really stand by that. We are not a team that plays it safe! One of our favorite memories from this season has to be our past weekend at UDA Nationals. Performing in front of the castle is something we will never forget! Last year was our first year attending UDA Nationals where we placed 10th in the nation with our Kick routine. This year we knew in order to improve our placement we have to be different! We are so happy we took the risk of bringing an unexpected song to our category.